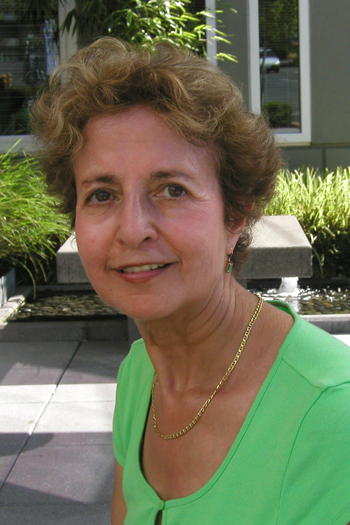 Nahid Rachlin, born in Iran, came to the United States to attend college and stayed. She has been writing and publishing novels and short stories, in English. Among her publications are four novels, JUMPING OVER FIRE (City Lights), FOREIGNER (W.W. Norton), MARRIED TO A STRANGER (E.P.Dutton), THE HEART'S DESIRE (City Lights), and a collection of short stories, VEILS(City Lights). Her latest publication is a memoir, PERSIAN GIRLS (October 2006, Penguin). Her individual short stories and essays have appeared in about fifty magazines, including The Virginia Quarterly Review, Prairie Schooner, Redbook, Shenandoah, Natural History Magazine, The New York Times Magazine, Contemporary Authors Autobiography Series, and is in press at an anthology, How I Learned to Cook and other writings On Complex Mother-Daughter Relationships, Penguin. She has written reviews for the New York Times and Newsday. While a student she held a Doubleday-Columbia fellowship and a Wallace Stegner Fellowship (Stanford). The grants and awards she has received include, the Bennet Cerf Award, PEN Syndicated Fiction Project Award, and a National Endowment for the Arts grant. Currently she teaches at the New School University and the Unterberg Poetry Center at the 92nd Street Y and is an associate fellow at Yale. It is a rectangular room with a desk, bed, chest, and Persian rug on the floor. It has very large windows on two sides, one overlooking the East River and the other, facing New York City skyline, including the Empire State Building and Chrysler Building. During the day because of a great deal of sun I have to pull down the shades but from midday on I can pull up the shades and enjoy the views. When did you move to the United States from Iran? Why? I came to the United States when I was seventeen years old to attend college. I was very restless as a young girl growing up in Iran, which was very restrictive for women, in spite of the Shah's attempts at modernization. I, and my sisters, were expected to marry men arranged for us by our parents as soon as a suitable man came along. Education beyond high school was for our brothers. That was the general attitude of most parents. I wanted to go to college, I already wanted to write, what was considered dangerous with all the Shah's censorship. My father was getting nervous that I would get the family into trouble with my "rebellious" nature. He was a lawyer and he feared he would lose his license if his daughter was writing anything that could be remotely critical of the country. He agreed to send me to America under the condition that I would go to a girl school, near one of my brothers, so that he could look after me. He hoped by the time I finished college I would come to "my senses," and go back and accept the roles prescribed for me. But I never returned. What was the writing scene like for women while you were growing up as compared to now? Do you see any change for women in Iran now? Censorship was heavy under the Shah and it is heavy under the new regime. Americans only became aware of censorship in Iran since the death threat against Salmon Rushdi but censorship was just as heavy under the Shah. People went to jail and were executed for writing or saying the "wrong" things. Only the two regime's sensitivities are different. Under the Shah there was the fear that anything negative could lead to his being overthrown. Under the new regime anything that could be interpreted as anti-Islam is censored. Oddly in spite of all the restrictions, the women have made progress in Iran. For one thing, paradoxically the new regime has been encouraging education for everyone, including women. As a result more than half of university students today are women. Women are also exposed to the outside world because of the internet access so they are more aware of ways of lives in other cultures. I started writing since I was an adolescent. I used to go to a room and write and that always made me feel at peace, even if the subject of what I wrote was sad. I continued writing when I came to America.. Discuss your memoir Persian Girls. I think this book is gripping and shows what your life was like growing up in Iran during the Shah. PERSIAN GIRLS extends from the time of the late Shah to the present in Iran and goes back forth between Iran and America. I develop my relationship with my aunt, Maryam, who adopted me from my mother when I was six months old, and with my birth mother, after my father forcefully took me back from my aunt when I was nine years old. My aunt couldn't get pregnant and she had always been begging my mother, who was very fertile, if she could adopt one of her children. In fact my mother gave birth to ten children. When I was six months old my mother allowed my grandmother to take me to my aunt, who lived in Tehran, an eighteen hour train ride from Ahvaz where my parents lived. At the time my father was a circuit judge and traveled a great deal. Then when I was nine years old he decided to take me back. By then he had resigned from being a judge and started a private practice. He was more focused on his family and missed this child away from home. My being nine years old was significant since at the time that was the legal age for a girl to marry. A big part of PERSIAN GIRLS is also focused on the stories of my sister Pari's and my own lives in Iran and then as we took different paths-- she remaining in Iran and I coming to America. When I started living with my birth family I became very close to my older sister Pari. We both resisted the roles prescribed for us by our parents, our school, the wider society. She wanted to become an actress and I a writer, both considered undesirable for one reason or another. We were allies against our middle sister, whose dream was closer to what was expected of her. Then I managed to come to America while Pari got trapped in a bad arranged marriage and had to give up her aspiration to become an actress and all the independence she was striving for. I was stronger and more determined than Pari, perhaps because of all the love and attention that my aunt Maryam had given to me, whereas Pari didn't have that kind of attention from our mother. After I had been in the U.S. for many years and witnessed the Islamic Revolution from here, I got a phone call that Pari had fallen down the staircase of her house and died. I was married then and had a child and was involved in writing and teaching but I dropped everything and went to Iran to find out more about what happened to Pari. I knew it wasn't murder because she was with her friends when she fell but I feared it could have been self-inflicted, since she had been depressed about her life for a long time. How did you and your sister Pari find literature and books that were forbidden? In a store whose owner was very daring and carried forbidden books in his basement. He began to sell them to me, when he realized that I shared many of his ideas about the restrictions in our culture. Pari was mainly interested in acting but unfortunately she wasn't allowed to act, though he was very talented. Our father stopped her after a few times of her acting in our high school production on the basis that acting was improper. Then when she got married, he forbade her to pursue her acting passion. Discuss Jumping Over Fire, Foreigner, Married To a Stranger, Heart's Desire and Veils. Maybe talk about your process, how long it took to write these, and what each one is about. JUMPING OVER FIRE is mainly focused on Nora and her adopted brother, Jahan. Nora and Jahan are in their early teens, when the book opens. The novel starts in Iran during the seventies, before the Shah's fall and continues in America, where the family emigrates to after the Islamic Revolution, and then is set in Iran again, when Jahan returns there and Nora goes in search of him. Their father is an Iranian and their mother American. While they live in Iran, Jahan, the all-Iranian boy as he is, blends in well. Nora, blond and identifying more with her American mother, feels like an outsider. They live in Masjid-e-Suleiman, an oil refinery town, where their father is a doctor at the refinery hospital and their mother was a nurse. There are many Americans living there because of the oil refinery but Nora still feels like an outsider, among her peers and relatives, whereas Jahan feels at home. During this period, in the seventies, the Shah has become very unpopular mainly because of the cruelty of the SAVAK, his powerful secret police The country is in turmoil and no one knows what will happen. It's against this turbulent background and the fact that Nora has little freedom as a girl in Iran that the relationship between her and her brother develops. When the Islamic Revolution is about to erupt the family escapes to America and there they cope with the immigrant experience, complicated by the hostage crisis and the pervasive anti-Iranian feeling. Nora has an easier time adjusting to this culture and Jahan immediately feels like an outsider, their situation having reversed. The intense interdependency they had in Iran becomes much more complicated. In my other novels and short story collection I also develop themes of identity, belonging, cross-cultural clashes and similarities, yearnings on the characters' parts for better lives. Each book has taken me about two years to write. Do you still have family and friends in Iran? There is so much talk in the news about a possible attack on Iran by our government. This must be difficult for you to hear about. Have you been able to go home and visit or because you left, are your visits restricted? Yes, I still have sisters, cousins, uncles and other relatives in Iran. I still go to Iran and visit, though I am always a little anxious that I may be detained there for one reason or another. I am always envious of people who can go home easily. I feel very apprehensive about the American policy towards Iran. I believe in dialogue more than brutal force, that doesn't ever seem to work. I imagine when you moved to the USA, it must have been such a major adjustment for you. Discuss this adjustment. Did your writing help ease a transition for you? Was there anyone here to help you? Were you ever afraid to write what you wanted? Any fear of repercussions of what you write on your family and friends who are still in Iran? Are your books read in Iran? Or is there still a censored life for most women in Iran yet? It was a hard transition for me from Iran to America. Although during my adolescent years I dreamed to come to America, the country wasn't what I had imagined it to be. The college I went to in Missouri was very provincial and had restrictions of its own. I took refuge in my writing as in a long-lasting friend. When I came to New York after college I felt liberated, since there were so many people from other countries here and so much ethnic influence that was absent in my college. Who are some of your favorite writers? Who inspires you? What books do you read over and over? I don't have a favorite writer. I like some books by some writers and not all by the same writer. I can't say I am directly inspired or influenced by any specific writers but since I read a great deal, both classical and modern fiction, from America and all over the world, I must absorb a lot and that way I am influenced by a lot of writers. I am now beginning to work on a new novel, again with mainly Iranian and some American characters. The whole story isn't formed in my mind yet.